Royal Challengers Bangalore captain Virat Kohli has said that the West Indies all-rounder Ravi Rampaul made all the difference in their nail-biting win over Delhi Daredevils in the Super Over played in Bangalore. "When we were buying players this year, I especially told the team management that I want Ravi (Rampaul) in the side because he can be deadly with the bat. And if we didn't have that six (he had hit in the last over), we would have lost the game. 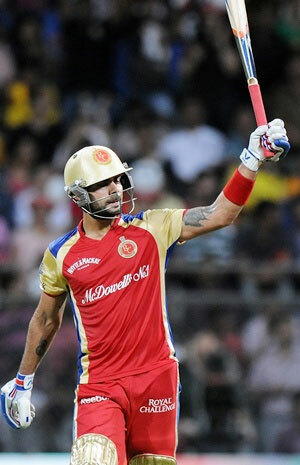 He made the difference in the end," Kohli said. Royal Challengers Bangalore pulled off a victory in the Super Over in a thrilling Indian Premier League match on Tuesday. Kohli said the fact that Rampaul had done well in the T20 World Cup on similar wickets in Sri Lanka, made him think that the West Indian would be effective in India too. "He is a brilliant guy to have in a T20 squad. As a bowler, he has been brilliant in these two games that we played against strong batting line-ups. He can bowl at pace and he can put in that odd bouncer with pace," he said. 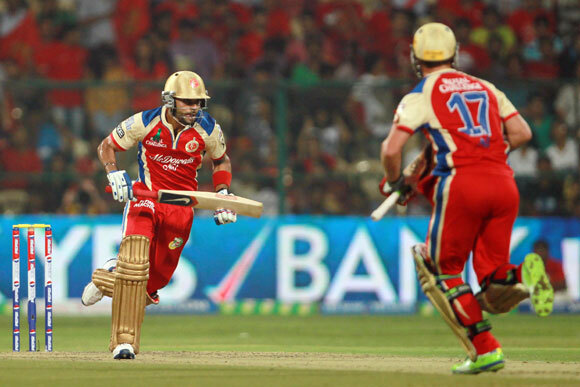 Kohli admitted that the RCB should not have taken the match to the Super Over. "Certainly we played some good consistent cricket. But to be honest, today, I can be really happy with the way we won the Super Over but we didn't deserve to be in that position." Stating that RCB "lack common sense", Kohli said, "I mean I could have gone through the 18th over and would have got the right results that we wanted to have. But that's the excitement that T20 cricket brings! It's just like a see-saw. "When I got out, I got really annoyed because I was the set batsman and wasn't getting enough strike and that's why I said we lack common sense." Regarding their last-ball defeat against Chennai Super Kings earlier, Kohli said: "A dearth of common sense cost the last match. I think we were 10-15 runs short. It is we who did not have common sense in death overs." Kohli said had they played more sensibly they would have won couple of more matches. "We played great cricket till the 17th over in every game. The ones we played good cricket in the 18th and 19th overs, we have gone on to win convincingly and the ones that we didn't do well in the 18th and 19th overs have lost by Super Over or a last-ball finish," he elaborated. He also added that RCB needed to play smart cricket in the rest of the tournament. "We've got to be smarter going ahead. We are in a great position right now with four wins out of six. Great run rate as well." The RCB skipper said the team is trying out new guys in the initial stages of the tournament because they are playing good cricket, but towards the business end of things, they need to have a certain eleven players with a few bowling changes. 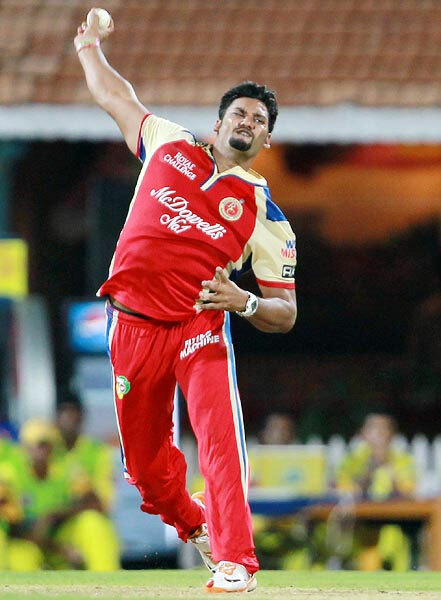 Kohli admitted that legendary Sri Lankan spinner Muttiah Muralitharan might not fit into RCB playing XI, considering the four foreigners limit after Rampaul has done well. 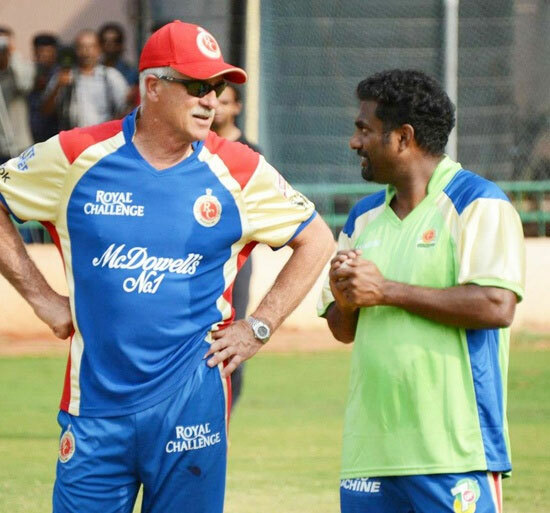 "Murali sir is always a great asset to any team. On his worse day also, he will give 26-27 runs in four overs. So he is that kind of bowler. We have to see what kind of combination the team is going in with. "He might not fit in the combination going ahead. We have to see which guys are confident and which guys are bowling well. The bowling unit is doing well and there is no need to make changes," he explained. Kohli though added that Muralitharan's absence in the match against Chennai made a big difference in death overs. On playing Syed Mohammed ahead of Murali Kartik, Kohli said, "He won us two-three games in 2011 when he was playing full season." Kohli, sounded the alarm bells, saying "we have to pull up our socks if we are looking to go all the way in this tournament". "It is going to get tougher and tougher going ahead so and I told the guys about that." The RCB said he has adopted a different approach this year to stay calm at the crease at the initial stages of the match. "Last year I was coming off from a very good season in Australia and the Asia Cup. So I thought in the IPL I could just smash from ball one. But I didn't concentrate on the basics and I got really frustrated after five-six games because I wasn't getting the results I wanted," Kohli said. "But this year, I changed a lot of things as far as my thinking is concerned. I told myself that I am not a machine and I can't score in every game that I go out and play. All I can do is be there and be calm at the crease and trust myself and back myself to win games for my team from any situation. "I believe that if I stay out there even for 40 or 45 balls, I can still make another 30 in the next 10 balls. So, I have that kind of mind set. It is very important for me to stay calm when I bat so that the youngsters can also feel confident," he added.